Always, always, always read the fine print or the EULA. Not paying attention to the rules can get you in trouble, though in this case, 'the rules' are kind of absurd. "If you know about a Bug or have heard about a Bug and fail to report the Bug to EA, we reserve the right to treat you no differently from someone who abuses the Bug. You acknowledge that EA reserve the right to lock anyone caught abusing a Bug out of all EA products." 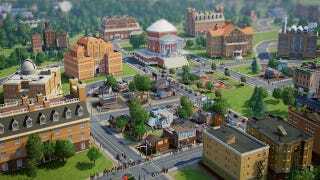 Which is to say, not reporting a bug on Sim City might get you banned from all EA games. That's... a tad extreme. Even if you abuse a bug in one game, does that mean you should be banned in all EA games? Is not reporting a bug really the same as abusing a bug? Hmm. As Ars notes, there's no guarantee they'll actually ban players for this, especially given that it would be difficult to even tell if a player never reports it. Still, in spite of the low likelihood of anyone getting banned off all EA games because of Sim City bugs, the wording is alarming.